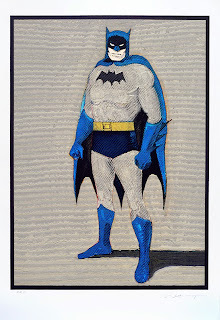 Following the Mel Ramos retrospective that traveled across seven major European museums in 2010-2011 to celebrate Ramos’s 75th birthday and on the occasion of Batman’s 75th birthday this year, it seems only fitting that Magnolia Editions revisit the iconic superhero paintings that started Ramos on the road to becoming one of Pop Art’s most recognizable figures. 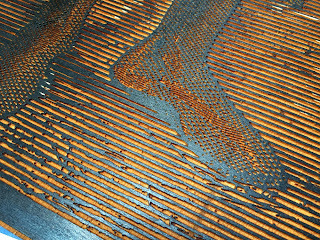 The artist worked closely with Magnolia director Donald Farnsworth and Bay Area realist painter and frequent Magnolia collaborator Guy Diehl to develop the wood block matrices and the corresponding layers of acrylic color for each print. 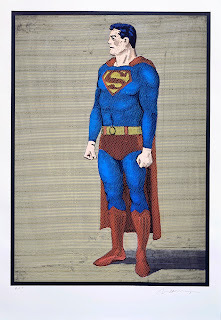 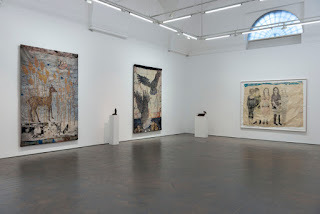 Ramos is well known for his color lithograph editions (a 2006 lithograph revisited Superman) but these prints represent an unusual and bold move toward woodcut — a very different print medium and one which Ramos had rarely explored before this project.